Hibiscus Cherry Vodka Spritz! 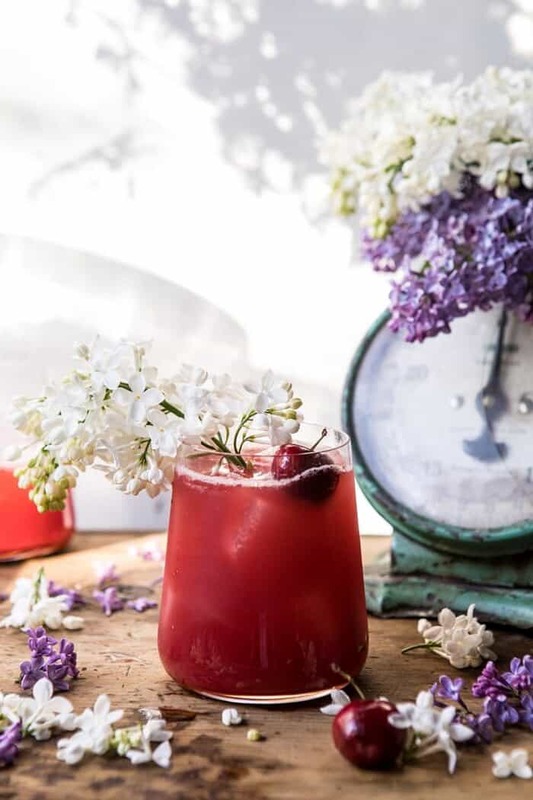 Sweet summer cherries, hibiscus, lemon, and a splash of vodka come together to make this refreshing pitcher cocktail. It’s delicious, pretty, and perfect for warm summer days or nights. Try serving this up at your next summer party! 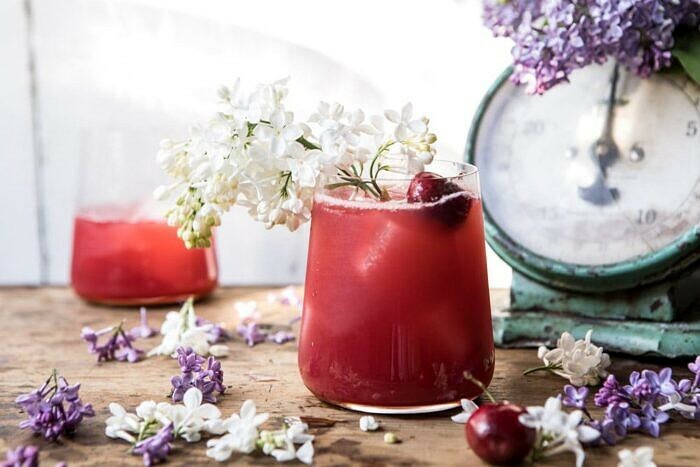 Welcome to the first cocktail Saturday of the summer! And yes, I know summer does not technically start until June twenty-first, but I am in full on summer mode and going with it. Plus, with our approaching vacation to the Caribbean next week, my mind has turned to all things fun and tropical. 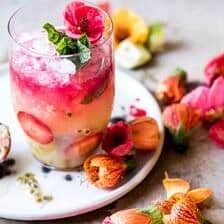 Enter this fun summery cocktail that I am head over heels in love with. You guys, this might be my favorite drink that I have created yet. It. Is. SO. GOOD! And super easy to make, not loaded with sugar, and full of summer cherries. Again, in love with this drink and very, very excited to remake this spritz next week and sip it ocean side. You’ll start by making the cherry and hibiscus tea. 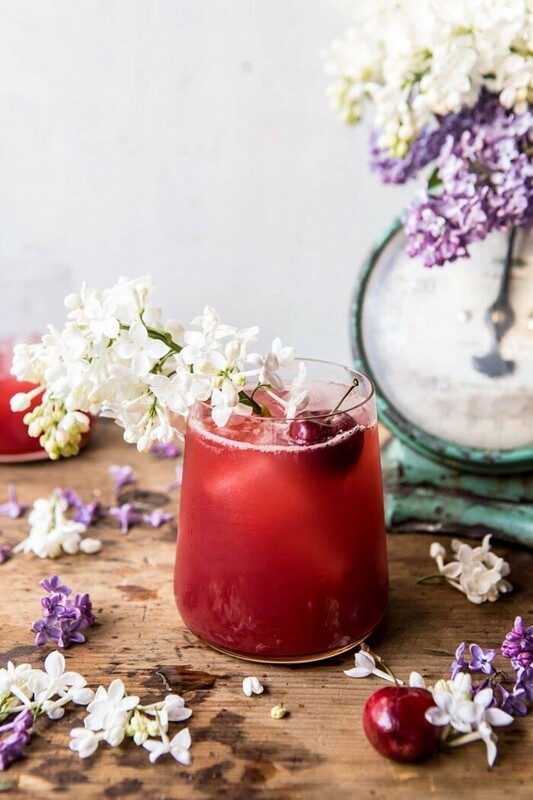 It’s pretty simple, just mash a ton of fresh cherries (mine are from Frog Hollow Farm in California and they are the sweetest bing cherries), add dried hibiscus flowers, and hot water. Steep for ten minutes or so and then strain out all the pulp and flowers. Stir in a touch of honey for sweetness (if needed), a little lemon, pineapple juice, and vodka. Chill the mix in the fridge until cold or until you are ready to serve. Then, just pour over ice and top with sparkling water. 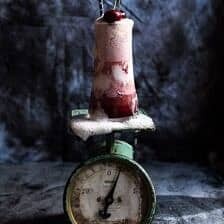 – If you wanted to make this alcohol free, simply omit the vodka. No big deal. I made a version of this for Asher minus the vodka and she LOVED it. – I prefer using dried hibiscus flowers (which I buy on Amazon), but if it’s easier for you, you can use two to three hibiscus tea bags in place of the dried flowers. If you make a lot of hibiscus drinks however, I highly recommend investing in dried hibiscus flowers. They are the best. – I’m really into vodka sodas right now, so that is why I went with vodka for this cocktail. If you’re not a fan, tequila would also be amazing, or you could go the extra tropical route and use a gold rum. Alright guys, that’s if from me today! 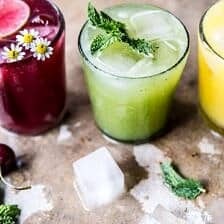 Just a quick post to share a new favorite summer cocktail. See you all tomorrow for Nine Favorite Things! 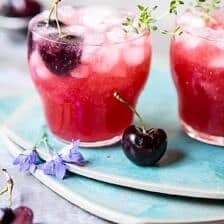 If you make this hibiscus cherry vodka spritz, please be sure to leave a comment and/or give this recipe a rating! I love hearing from you guys and always do my best to respond to each and every one of you. Oh, and of course, if you do make this fun drink, don’t forget to also tag me on Instagram so I can see! Looking through the photos of recipes you all have made is my favorite! 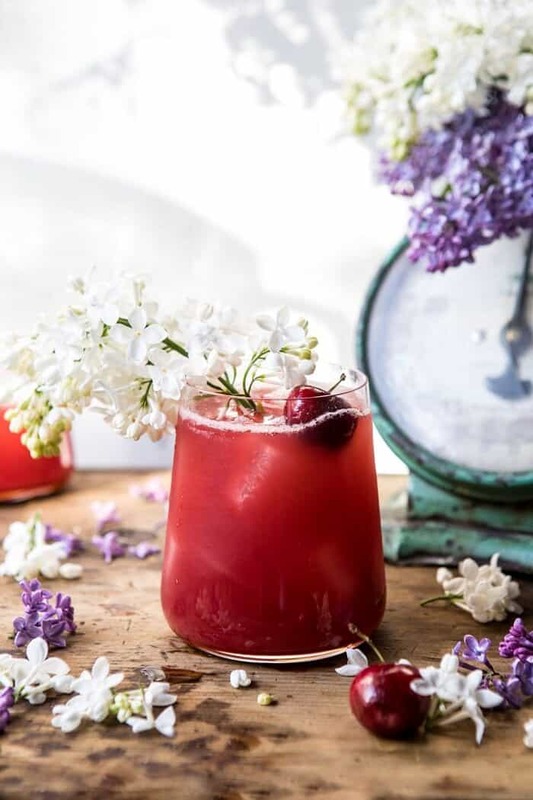 Sweet summer cherries, hibiscus, lemon, and a splash of vodka come together to make this refreshing pitcher cocktail. It's delicious, pretty, and perfect for warm summer days or nights. Try serving this up at your next summer party! 1. Add the cherries to a medium size pot. Use a muddler or a fork to mash the cherries up until they are almost pulp like. Add 1 cup of water and bring to a boil over high heat. Remove from the heat, add the hibiscus flowers. Cover and let steep for 10 minutes. 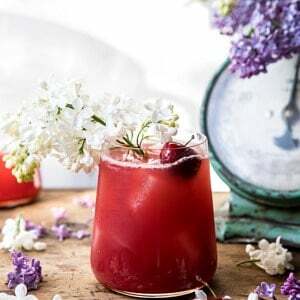 Strain into a pitcher, pressing out any juice from the cherries with a fork, discard the hibiscus flowers and cherries. 2. Add the honey, lemon juice, pineapple juice, and vodka. Chill until ready to serve. 3. To serve, pour over ice and top with sparkling water. Enjoy! 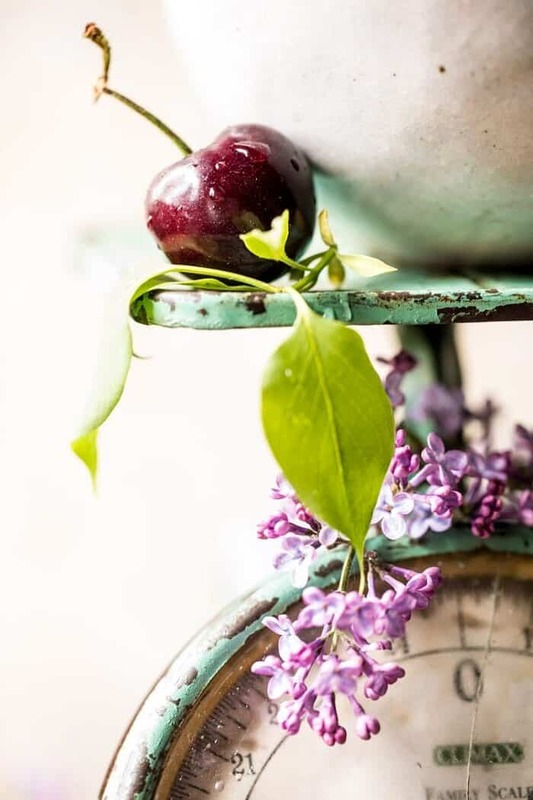 *You don't need to pitt the cherries, they will be strained out and discarded. Did you pit the cherries first? Alternatively, could you use frozen, thawed cherries? Sounds amazing! I do not pit the cherries, as the pits will be strained out after cooking. And yes, you can use frozen cherries. Please let me know if you have any other questions. I hope you love this recipe! Thanks! Do you think you could use store-bought 100% cherry juice in this instead? Looks delicious; can’t wait to make this soon! I think cherry juice will be great. Please let me know if you have any other questions. I hope you love this recipe! Thanks! Oh, Tieghan, this looks delicious. I can’t wait to try this!! Where can I find dried hibiscus flowers? Hi Judith, I buy my flowers from amazon. Link below. Please let me know if you have any other questions. Hope you love this recipe! Thanks! I saw this Saturday morning in my email and HAD to make it Saturday night. It was SO GOOD. You are a cocktail genius and restaurants should consider serving your drinks! YUM. You’re so sweet! I am so glad you liked this cocktail, thank you Amanda! We made these the other night -so yummy and summery. Believe it or not I have all the ingredients to make this! I have organic hibiscus flowers from Amazon that I love also! Question: How far in advance have you made the ‘syrup’ portion of this – before adding the sparkling water? Cooking for a crowd and would love to get this part out of way what with my last minute cooking. Could I make the base a couple of days in advance or do you think the flavors would get too intense? Thanks for a great recipe!